ra is a sushi bar in gold coast. i've been a few times before... and i've never gotten sushi there. i love sushi joints because it's pretty easy to eat vegan. but instead of going the route of normal vegetable sushi rolls, when at ra, i like to mix it up. 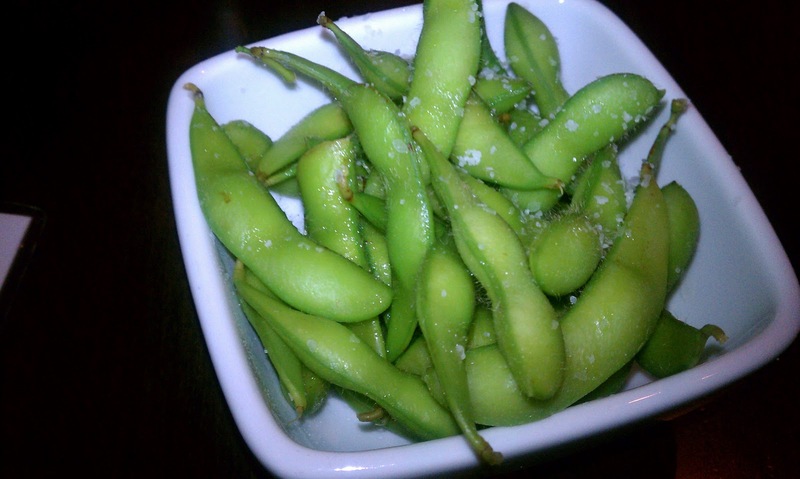 we started off with some edamame. an oldie, but goodie at any japanese restaurant. *note : i know this has nothing to do with my dining experience at ra, but if you like to make edamame at home, i love to put garlic salt on them instead of regular salt... it's delish! next came the shishito peppers. they are super hot, which i happen to love. you can see the bit of sriracha on the side of the plate, so be warned if you don't like spicy. 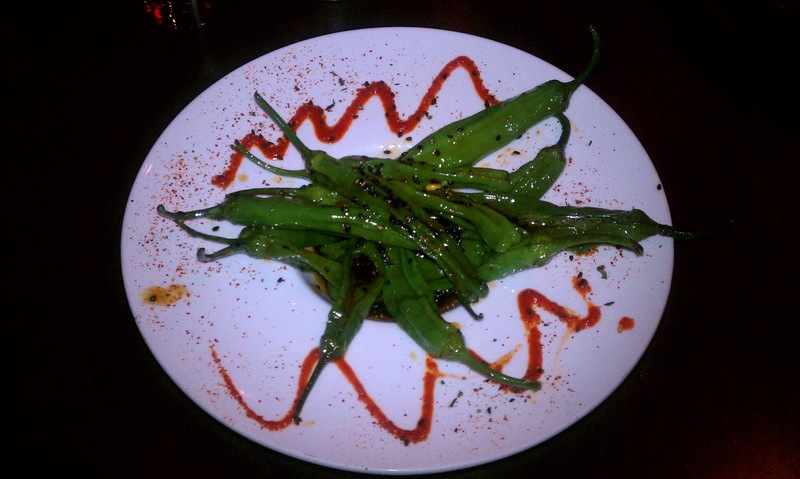 they are sauteed in sesame oil with other asian seasonings. and finally, the nutty tofu salad. 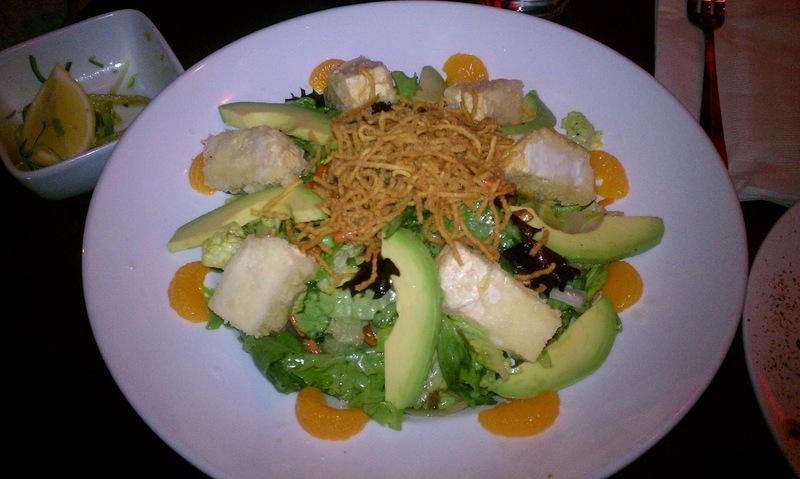 silken tofu (fried in sesame oil), avocado, mandarin oranges, edamame, cashews and some wonton strips on top of mixed greens with a rice wine vinaigrette. it's actually called the nutty grilled chicken salad, but you can see where i made the substitution. this salad is seriously delicious. the mixed greens play the smallest role here, which is something i love in a salad... this one has got so many flavors, but they are perfect together. i obviously haven't had the chicken version, but the girls i was with thought they would also prefer tofu to chicken in this dish. overall, just really tasty... and lots of protein (in the edamame, tofu and cashews)! if you're in the mood for something different, but asian inspired, ra is definitely a great place to go for delicious vegan options. vegans & chicagoans are funny! vegan eating in the news. a vegan & an omnivore.